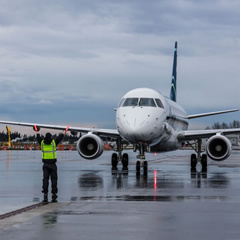 The all-new Passenger Terminal at Paine Field in Everett (PAE) offers travelers from Seattle and Northwest Washington a time-saving choice for commercial air flights throughout the western US. 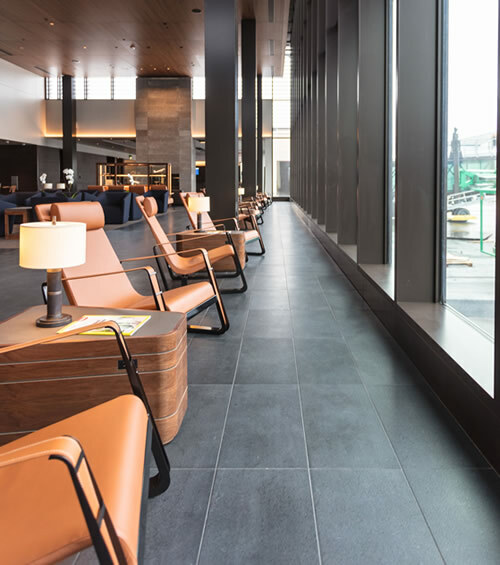 The terminal's ease of use and location just ten minutes from I-5 makes it the ideal choice for passengers looking for a world-class, stress-free travel experience paired with the attention to detail only found in small airports. 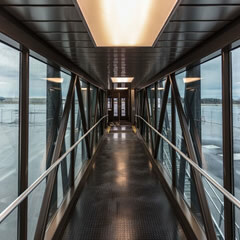 Inspired by the innovative thinking that led former British Prime Minister Margaret Thatcher to sell government-owned airports such as London's Heathrow to private enterprise, Propeller Airports partners with strategically placed airports around the country that offer unique opportunities to create new economic engines for their local communities. 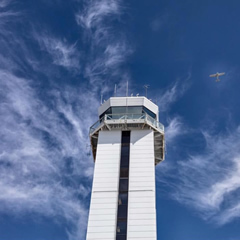 Sign up for important updates, insider information and travel perks. 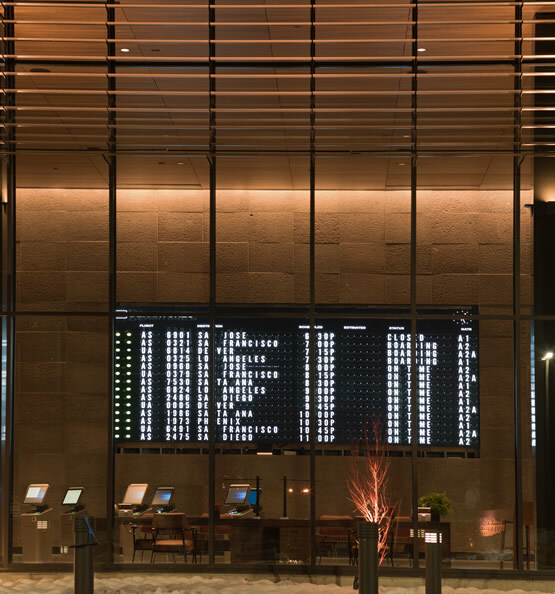 *Please Note: The passenger terminal will close and be locked from 1 am each night until opening the following morning. 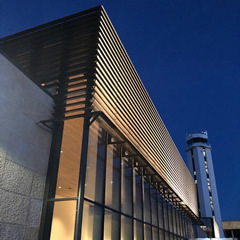 Passengers with a connecting flight or an overnight layover will have to vacate the terminal prior to closing. 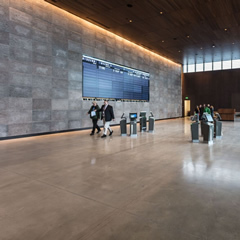 There is minimal seating available in the adjacent Ground Transportation Building.